Whether you are hosting a family gathering or just celebrating with friends, Culinary Circle® offers premium ingredients and recipes that will help you do it in style. 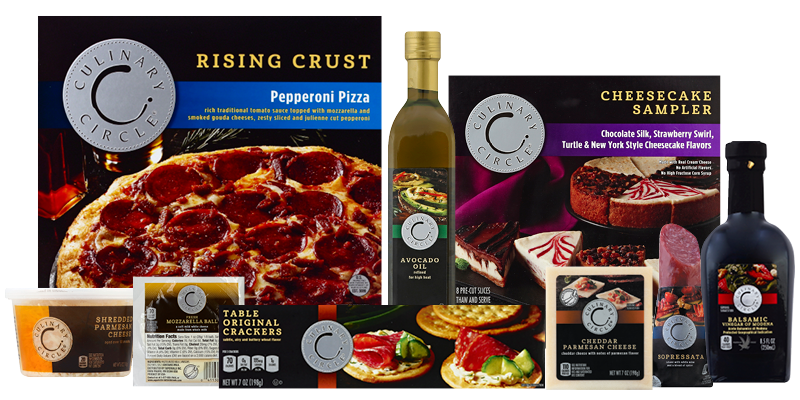 Our wide selection of artisan pizzas, bold cheese and cracker pairings, and inspiring new sauces are sure to be a hit with friends and foodies alike. Ingredients that take your recipe to wow. Go from creamy to craveable. Just how you like it-delectable. Mix and match and enjoy.